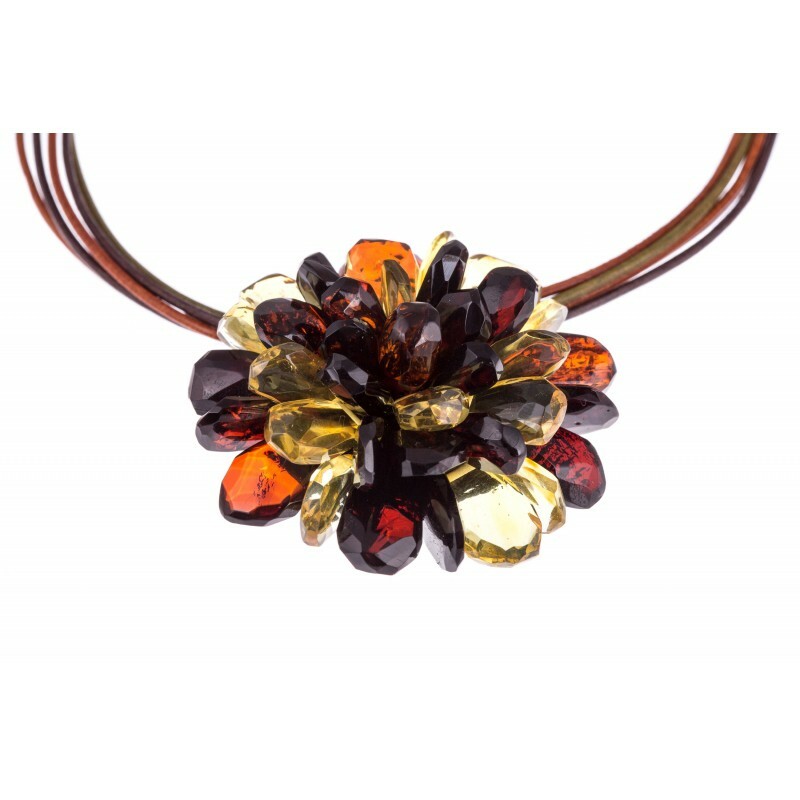 > Amber Ware>Amber necklace-brooch "The Rainbow"
An impressive, hand-made, flower's blossom form, amber necklace. Multicoloured flower of amber. This amber necklace - flower has two functions: it can be worn as a pendant or a necklace, or it can be pinned as a brooch.